Or view larger version. "Blot out the blemish of Berkeleyland, Madigan!”. 1969. Unknown artist. Poster. Collection of Oakland Museum of California, All of Us or None Archive. Gift of the Rossman Family. 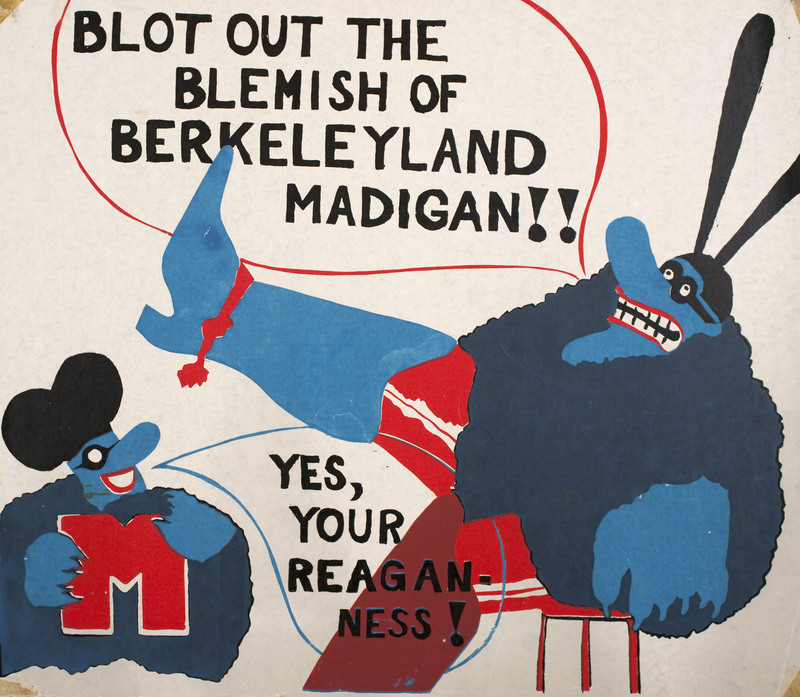 This satiric poster features “Blue Meanie” cartoon villains in reference to the Beatles film “Yellow Submarine” released the year before. This derogatory name was given to Alameda County Sheriff Frank Madigan’s officers called in by California governor Reagan, incensed at how poorly U.C. Berkeley and local police were handling community opposition to plans for developing a nearby empty plot of land called People’s Park.